Hugh Daniel Smith, an Apostolic Father to many, is a multi-dimensional thinker and international speaker. He is known for his keen insight into spiritual matters and his unique ability to make them relevant to the times. 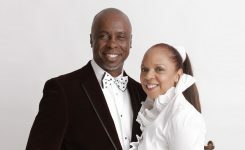 His life’s mission is to bring the Kingdom of God to earth by restoring and protecting the rights of all people.When you combine his unique style and charismatic wit with the Godly wisdom he lives out daily, Bishop Smith’s influence and genuine love for people is undeniable.He and his wife, Pastor Letha, serve as the founders and senior pastors of Embassy Covenant Church International in Troy, Michigan. 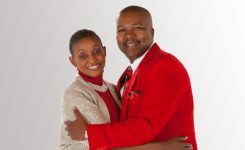 Bishop Smith is the Presiding Bishop of Jabula New Life Ministries International. 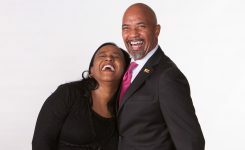 Jabula is currently in 27 nations around the world and continues to extend its reach through church planting, empowerment programs and advanced leadership training under the Founder and Chief Apostle, Bishop Tudor Bismark.Bishop Smith serves as a consultant to several pastors and leaders around the world. He is the Founder and Executive Director of Justice Network, a non-profit social justice organization. He is a member of the American International Christian Chaplain Association (A.I.C.C.A. ), and serves on the executive board of Excel Village. He is the founder of the Diamond Leadership Academy which serves to grow leaders from the inside out by teaching them to understand mental models, quality advocacy and inquiry, and emotional intelligence. The integration of these tools produces strong leaders and ultimately strong communities. Over the years Bishop Smith has served as an executive board member for many organizations and has received countless awards. In 2014, he was inducted into the Hall of Fame at Battle Creek Central High School. 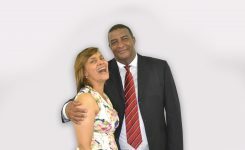 He has a Doctorate of Theology Degree and a Doctorate of Divinity Degree; and has been certified as a Life Skills Facilitator, assisting people in overcoming past and present emotional and psychological abuse. 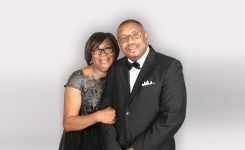 He is the author of numerous articles and a published book entitled “No Want, No Fear: Discovering Rest in Christ”.Bishop Hugh and Pastor Letha reside in Sterling Heights, Michigan. He is the son of Georgia L. Howard and the late Hugh D. Smith Sr. 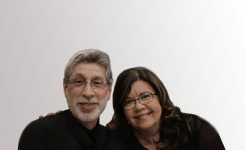 They are the proud parents of three children: Krystian and Jamar Bird, Bethany, and Joshlyn and three grandsons, Israel, Andrew and Noah. Bishop Smith enjoys astronomy, sailing and sports.